It was with great interest that I had read the memoirs of the brilliant author of ‘For God Loves Foolish People,’ and was on the lookout for more books from her. 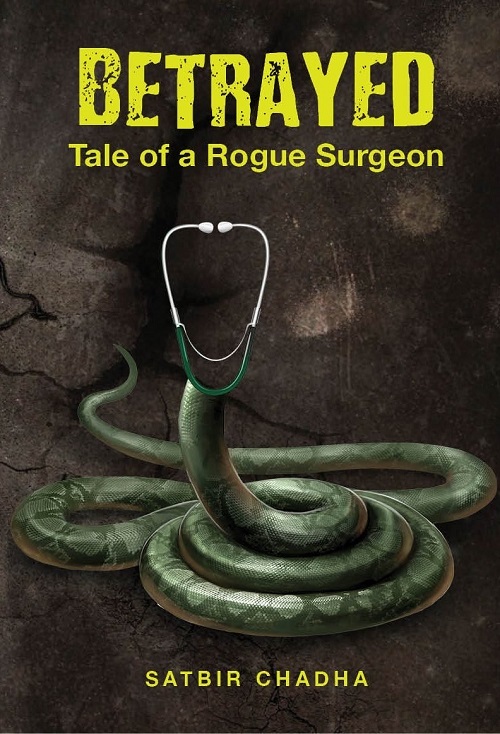 So, naturally, when Betrayed, her first novel – a medical thriller, to be more precise, hit the market, I was all agog. A very well researched book, with a riveting plot and finely etched characters, the book is indeed a gripping read, where two stories run parallel with an effortless ease. The story of the young idealistic doctor Amit Biswas and his simple, doting artist wife, Anita, who had been ‘together for ever and ever’, sharing the same bathtub, pram and the crib, even the milk bottle. Actually, the revelation of the ignoble underbelly of the noble medical profession had made her mother turn away from the brush and find solace in liquor. The second story is that of a young, devastated widow, Mohini from the Punjab of undivided India, who flees from the brazen sexual overtures of her brothers-in-law into a completely different world, where she manages to carve a comfortable niche for herself. In a bizarre turn of events, the two stories merge, and what follows makes an absolutely engrossing read. The reader reads on, awestruck, as one medical malpractice after another unfolds in all its horrifying ramifications and one is not prepared for the jaw dropping denouement which hits one with all the force of a hammer. Written in a very lucid style, this book is indeed a page turner, spine chilling and gripping till the end. Published by Vitasta publishers, Delhi, the book is crisply edited, and the cover of the book, tempts you into buying and reading it immediately. Highly recommended for lovers of good literature and those passionate about thrillers. 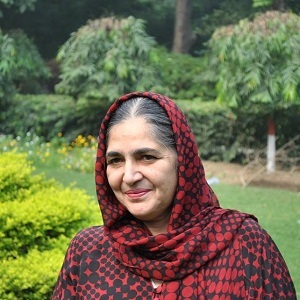 Satbir Chadha is the author of the highly acclaimed book, For God Loves Foolish People, a book of memoirs, for which she has been awarded this year’s prize for prose, Gadya Gyaneshwari by Reuel International Prize for Literature. 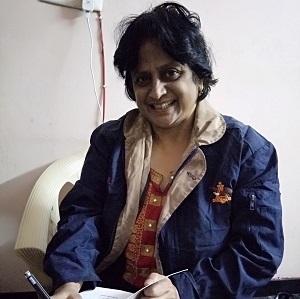 She is also a poet with a presence in several anthologies, national and international, including, Contemporary Major Indian Women Poets published by The Poetry Society Of India and Kew, published by Pangasinan Historical And Cultural Commission (PHCC), Philippines. Her short story finds place in Silhouette 1&2 And Other Fiction. Her compilation of short stories is due to be in bookstores by the end of the year. Born and brought up in Nainital, she studied at Sophia College, Bombay. She is married to a businessman and lives in Delhi with her family. Dr Santosh Bakaya, academician, essayist, novelist, poet, reviewer, has been widely published, winning international acclaim for her works especially Ballad of Bapu [A Poetic biography of Mahatma Gandhi], Flights from my Terrace [A collection of essays], Where are the lilacs? and Under the Apple Boughs [two volumes of poetry]. Recipient of many awards, she has been invited to many literary festivals and was recently a delegate from India to SAARC SUFI FESTIVAL [Jaipur]. Her novella A Skyful of Balloons will soon be out.